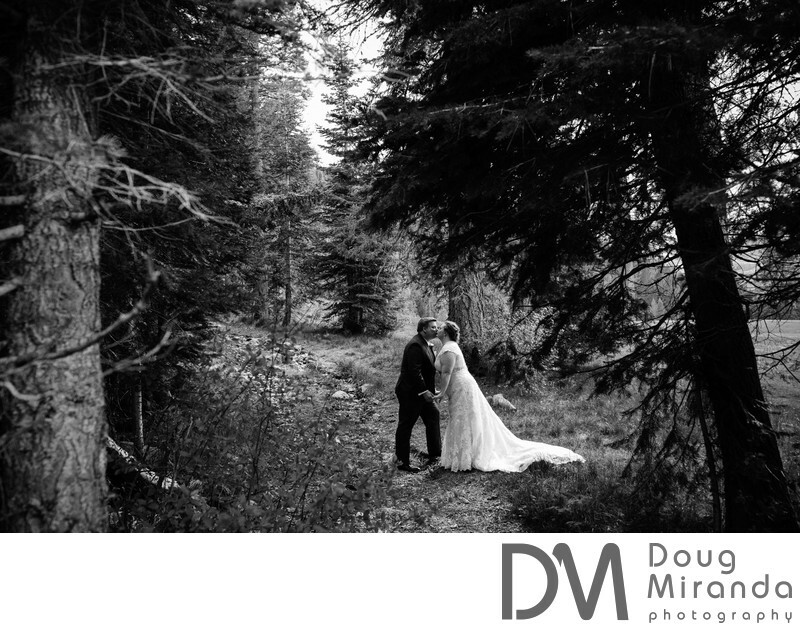 When your photographing a bride and groom is such a scenic location you really need to incorporate lots of the surround beauty into their photos, since that's one of the main reasons their getting married at that spot. 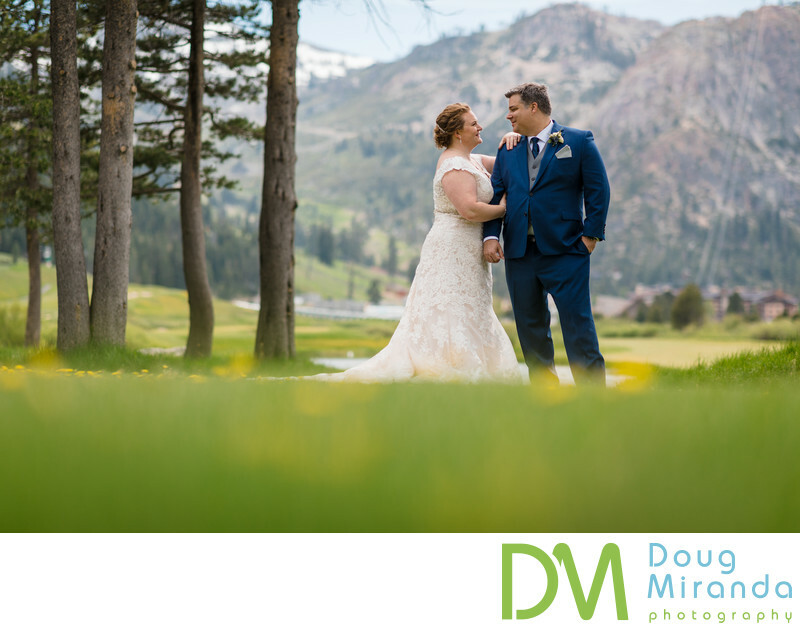 In this picture I basically place my camera on the grass ground to add some more depth to the picture and make the couple stand out from the snow capped peaks in the distance. It always helps to add something if the foreground if you can.